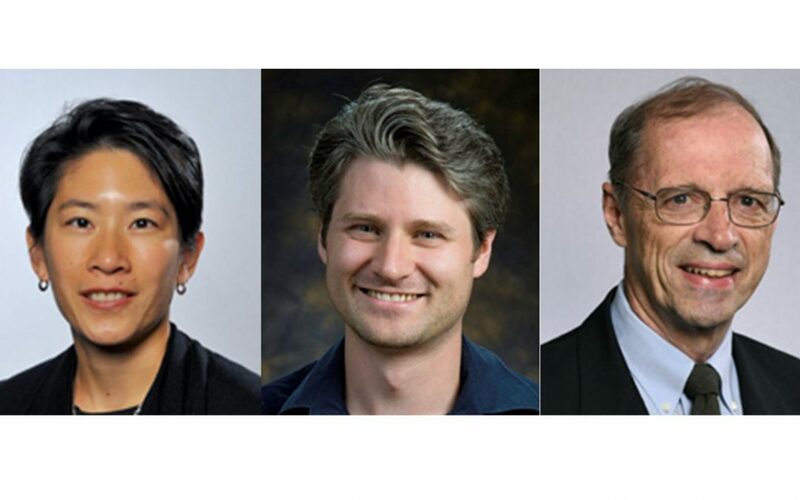 Three CLP faculty members receive honors, Teri Odom, Christian Petersen and George Schatz. Teri W. Odom, a Charles E. and Emma H. Morrison Professor of Chemistry, is one of three Cottrell Scholar TREE Award recipients for 2018. The award, presented by the Research Corporation for Science Achievement, recognizes outstanding research and educational accomplishments among Cottrell Scholars. Odom is known for her design of anisotropic and multi-scale nanomaterials as well as her invention of key nanoscale patterning methods. The TREE Award consists of an unrestricted $20,000 award sent to Northwestern on behalf of Odom’s educational and scholarly work. Another $5,000 is provided to Odom to support lectures and travel to other institutions to help communicate innovative research and educational accomplishments. Northwestern associate professor of molecular biosciences Christian Petersen will receive the 2018 Elizabeth D. Hay New Investigator Award from the Society for Developmental Biology (SDB). This award recognizes a new early-stage investigator performing outstanding research in developmental biology. Petersen will be honored for his research, which uses the flatworm planarian as a research model organism to uncover the biology underlying tissue regeneration and the control of adult stem cells. Along with receiving this award, Petersen will give a platform lecture on his work at the SDB’s annual meeting in Portland, Oregon July 20-24, 2018. George C. Schatz, a Charles E. and Emma H. Morrison Professor of Chemistry, has been named an Honorary Fellow of the Chinese Chemical Society. There are only 100 such fellows worldwide; the organization has more than 50,000 members. Honorary Fellow is the highest honor awarded by the society and is given to “the distinguished chemists of the world who have made significant contributions to the advancement of chemistry as well as to the development of Chinese chemistry and the society,” according to a letter from the society. Schatz’s research involves theory and computation as it applies to problems in nanotechnology, properties of materials, macromolecular structures and dynamics, molecular self-assembly, optics, materials physics and biophysics.